The Canada Revenue Agency offered amnesty to multi-millionaire clients caught using what’s been called an offshore tax “sham” on the Isle of Man — a reprieve that was supposed to remain secret and out of the public eye until it was uncovered by a CBC News/Radio-Canada investigation. The amnesty allows for “high net worth” clients of the accounting giant KPMG to be free from any future civil or criminal prosecution — as well as any penalties or fines — for their involvement in the controversial scheme. The clients simply had to agree to pay their back taxes and modest interest on these offshore investments, which they had failed to report on their income tax returns. Documents show that the scheme had attracted at least $130 million. 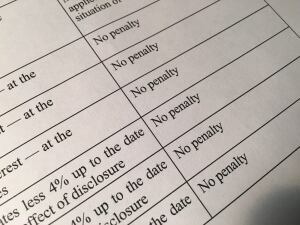 CBC/Radio-Canada obtained a copy of the confidential nine-page offer, signed on May 1, 2015 by CRA’s manager of offshore compliance, Stephanie Henderson. It promised KPMG clients that the CRA would not impose any penalties for taxes dodged in a scheme that lasted more than a decade. The offer was made despite CRA uncovering the KPMG scheme, which had at least 26 wealthy clients each investing a minimum of $5 million using shell companies on the Isle of Man. Before offering the deal, the tax agency had already assessed huge penalties against a handful of the earliest clients, alleging the scheme was “grossly negligent” and had “intended to deceive” the minister of revenue. CRA would not discuss any details of the leaked document with CBC News, let alone say how many of the high net worth KPMG clients decided to accept the offer. But a letter filed in court in September 2015 by a KPMG lawyer stated that 15 clients had “self-identified” to the federal tax authorities. Why they might have come forward remained a mystery until CBC News obtained a copy of the secret agreement. A spokesman for Canada Revenue told CBC News that the CRA frequently resolves tax disputes through settlements. “CRA practice also recognizes that the earliest possible resolution of disputes is in the public interest, as lengthy litigation is costly to all parties and the outcome of complex, tax-related litigation processes may be difficult to predict,” media relations officer Philippe Brideau said in a statement. CBC showed the secret CRA amnesty offer to a number of tax lawyers. 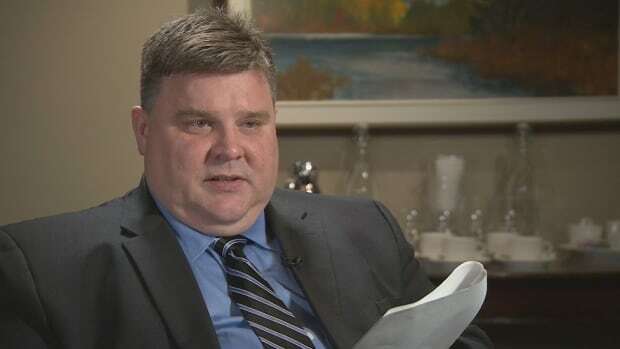 Toronto tax lawyer Duane Milot, who represents middle-income Canadians in disputes with the CRA, says his clients are routinely dragged through the courts for years by Canada Revenue. 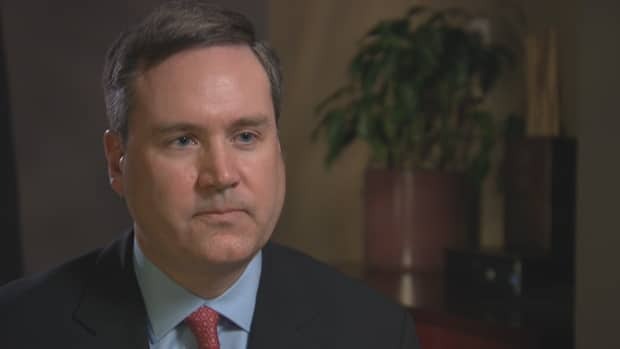 Jonathan Garbutt, a veteran Bay Street tax lawyer says the CRA may be looking to avoid a long, costly court battle with KPMG’s multi-millionaire investors as it lacks resources for these kinds of fights. “These are much bigger names. These people have money. They can fight, they can afford to hire the best legal defence money can buy,” Garbutt said. 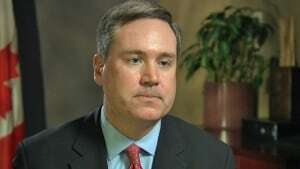 “There’s a lot more money at stake in these bigger cases, and it’s going to cost them more to be able to fight them. So CRA will gladly say thank you very much for the money, and move on to the lower-hanging fruit,” Garbutt said. Whatever the reason behind the offer, it’s clear the CRA didn’t want anyone else to find out about the amnesty deal. The leaked document includes the clause CONFIDENTIALITY in capital letters in paragraph 18. “The taxpayer agrees to ensure the confidentiality of the offer and will not inform any person of the conditions of the offer,” the letter states. The document is silent on whether KPMG itself will avoid civil or criminal penalties for setting up and selling the Isle of Man arrangement to at least 26 clients. But experts consulted by CBC News raised concerns that the large accounting firm, with close ties to the federal government, could also be off the hook. 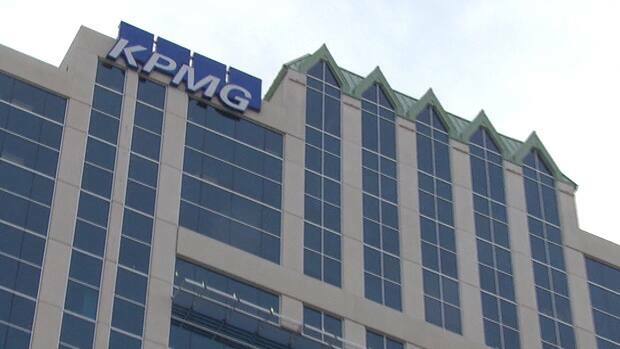 In an on camera interview last Friday, Ted Gallivan, the CRA’s assistant commissioner of compliance, said it would be inappropriate for him to say whether KPMG also was offered amnesty over the offshore scheme. “The CRA is still actively pursuing this matter, and so I really can’t comment about what decisions we may or may not have made,” he said. Gallivan has previously said that going after companies that promote tax avoidance is a priority for the Canada Revenue Agency. “Right now, we are keeping a close watch on those promoting aggressive programs and taking advantage of them,” he told a parliamentary committee in December 2014. Five months after these public remarks, however, the CRA’s offshore compliance division sent the secret settlement offer to KPMG. Gallivan, who became assistant commissioner only seven weeks ago, said he was unaware of the details of the agency’s settlement offer to KPMG. He said he did not know about the CRA-imposed gag order. 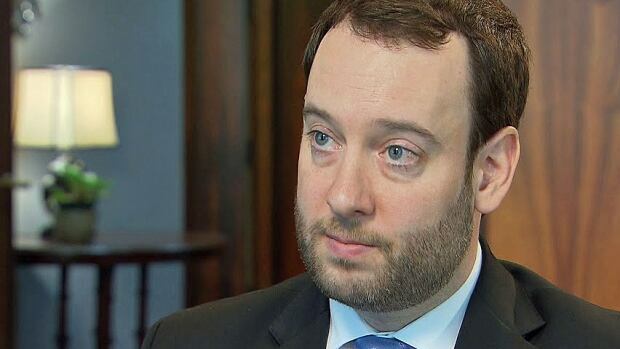 “You’ve provided me with written text from a taxpayer specific file, text that I have never read before, and it would be utterly irresponsible of me to comment on something that I’ve never read before out of context,” he told CBC News/Radio-Canada after being shown a copy of his own department’s document. Gallivan says the CRA has a good track record recovering money from offshore tax avoidance schemes, pointing to its voluntary disclosures program, which allows taxpayers to avoid potential criminal or civil penalties in exchange for paying back taxes and interest. However, tax experts have told CBC News that the KPMG clients should not have been eligible for the voluntary disclosure program because it was the CRA who encouraged them to come forward — and only after it already had those wealthy Canadians on its radar. Tax experts say the program was designed for taxpayers who, on their own initiative, approach the CRA to pay back taxes. Otherwise, they say, everyone under investigation would use the program as soon as the CRA starts in on them for evading or avoiding taxes. The KPMG scheme, which the accounting firm began marketing to wealthy Canadians as far back as 1999, had clients worth more than $5 million use shell companies set up by the accounting firm in the Isle of Man, famous for its corporate secrecy and very low taxes. KPMG’s internal memos, now part of the court record, show that the scheme was promoted within the firm to all of its Canadian tax practitioners, and that the accounting firm would collect 15 per cent of the taxes dodged. CRA auditors in Victoria first caught wind of the scheme at least four years ago after conducting an audit of a Victoria-based family. 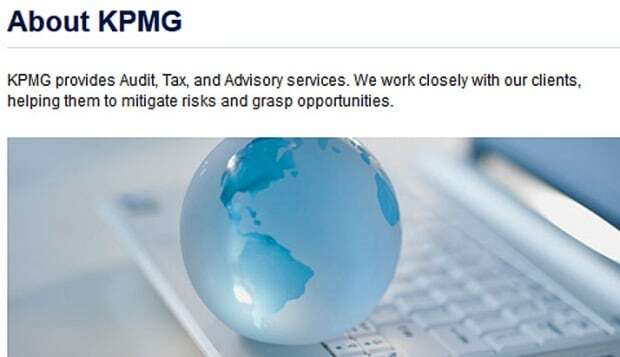 Auditor Russ Lyon then obtained a judge’s order in early 2013 to force KPMG to hand over the names of the clients involved as well as documents related to the scheme, which authorities alleged was “intended to deceive” the taxman. KPMG refused to hand over the documents and instead fought the CRA in court, appealing the judge’s order. CBC News reported last September that the case against KPMG had been stalled for more than two years as talks went on outside the courtroom. The secret agreement, leaked to CBC producer Harvey Cashore in a brown envelope, reveals that the amnesty offer was made to these high net worth Canadians even before the CRA knew who they actually were. The May 1, 2015 offer letter was sent to KPMG and was then passed on to its clients, 15 of whom appeared to accept the offer. There are believed to be six more high net worth clients whose identities continued to remain a mystery. The agency says it is now proceeding with the court case to obtain the remaining names. “I really don’t want to say anything that could jeopardize or hamper our ability to pursue it. I’ll just emphasize that our work is far from done and we intend to pursue this as far as possible,” the CRA Gallivan said. For confidential tips on this story please email investigations@cbc.ca or contact Harvey Cashore at 416-526-4704, or visit CBC Secure Drop to send documents to the attention of Harvey Cashore.